CETSS is committed to delivering a high-quality and relevant Computer Studies programme for all students. As no specific second-level course exists in Ireland, we have, in conjunction with parents who work in the IT sector, decided to develop a programme that is grounded in the English Computer Studies GCSE programme, but complemented with coding classes. However, we shall also seek to utilise the devices in various other subject areas. Programming (thinking like a programmer, basic coding skills, app development for PC, mobile and web). 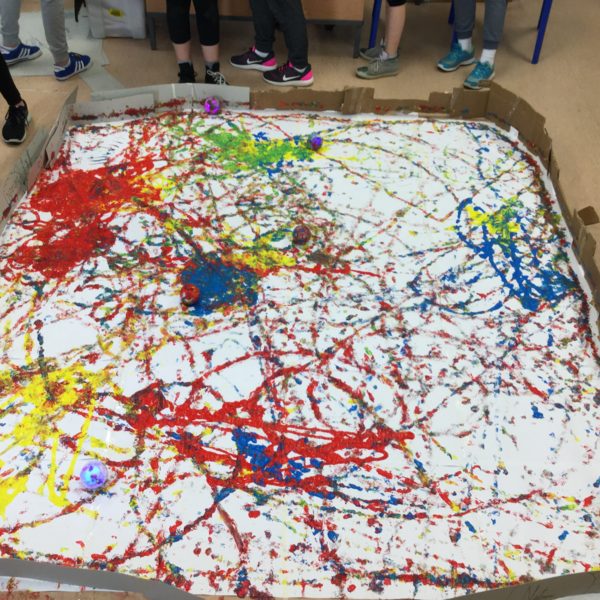 Students used Sphero robots to create a Jackson Pollock inspired piece of Art. 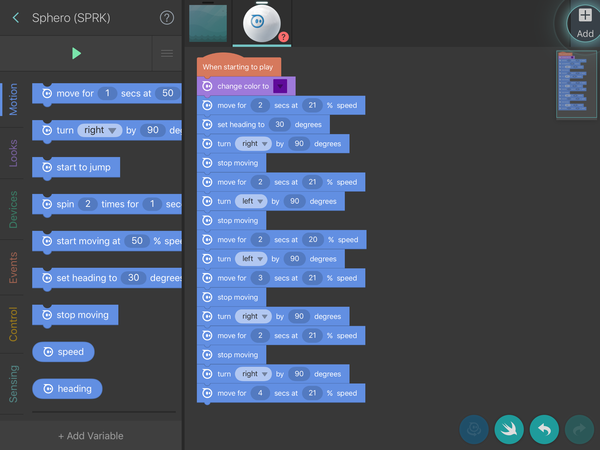 Working in groups, on an App called Tickle, they learned how to create blocks of code which programmed the Spheros to move around a giant canvas. As you can see, the results are very impressive. For the past four months students have been collaborating with CIT as part of our game development project. Their task was to design and produce a prototype educational game. Their game would connect to an area in Ethical Education or CSPE that they found interesting. Students created mood boards, developed characters and produced animatics using a variety of apps on their ipads. All of this culminated in a three day workshop in CIT, where they were facilitated in the production of a prototype of their games (see photos below).